Silk floral arrangements at Silk Floral Designs by Linda. 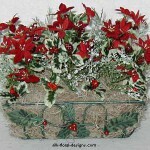 Affordable silk floral arrangements are what you will find here at Silk Floral Designs by Linda. Pictured throughout these pages are examples of some of the silk floral designs Linda has made over the years. Be sure to check out the Portfolio page for ideas of what Linda can create. Many of the designs in the portfolio are ones that were made for customers. Featured in the “Store” are unique creations that are available for sale today. Most of what are seen on the store pages are one-of-a-kind items. Once they sell, that’s it! Simply click on the “add to cart” button on each products page to add the items to the secure shopping cart. Linda will be notified once the order has been placed. She will then contact the customer that the order has been received. There are prices to fit any budget. If you require custom work, fill out the contact form and together we will come up with a design that is just what you are looking for. 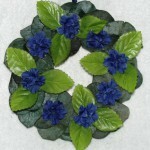 Decorated Grapevine Wreaths in many sizes…larger sizes are handwoven by Linda every spring. 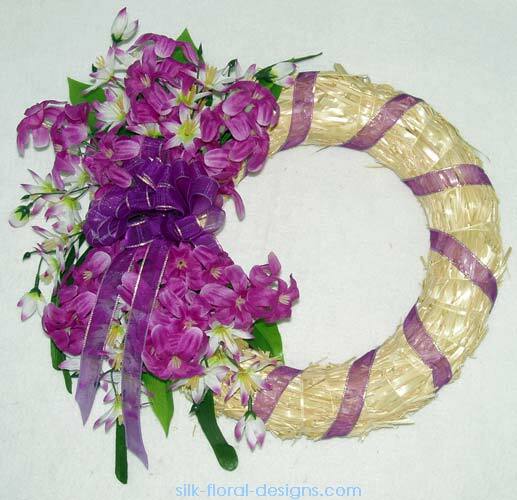 Decorated Straw Wreaths…tell us your ideas and Linda will create it for you. 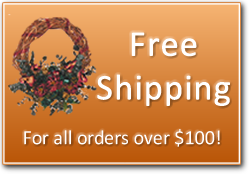 Silk-like Pine Wreaths…decorated for Christmas and other Holidays in colors and styles to fit your decor. Decorated Grapevine Twig Swags…bundles of grapevine twigs hand-tied into a unique looking swag with silk flower and ribbon adornments. Decorated Eucalyptus Swags…Fragrant branches hand-tied together to form a swag and then adorned with a special bow in your color choice. Mini Metal Cans…Brass, Antique Copper or Tin cans in several different styles. These will brighten up a small table or desk. Baskets…several styles to choose from in many sizes for the table or to hang on the wall. Please visit our other store, Knits and Bits by Linda , for knitted & crocheted items for kitchen, bath and home decor. Plus fabric photo ornaments that are sure to become treasured family heirlooms.